Dexter and Me tells the story of a child’s first sports day in school. Each game seems harder and harder as the child struggles to get any points for his team. Eventually he can’t hold back the tears “What’s happening dad? I couldn’t do any games, no matter how hard I tried, I kept getting it wrong”. That’s when his dad tells him about Dexter – his discriminator. 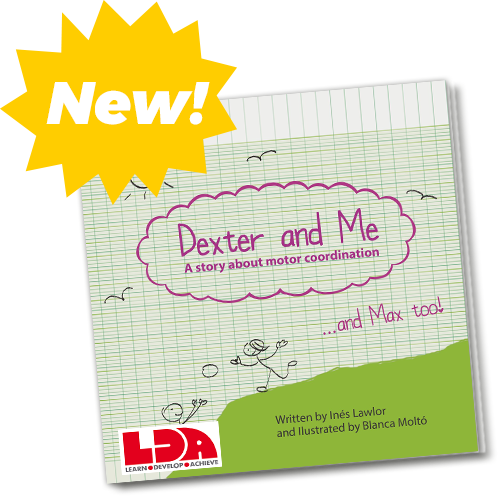 Published through LDA, leading special educational needs supplier.